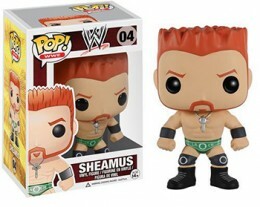 2014 Funko Pop WWE is the first time the popular line of vinyl figures has stepped inside the wrestling ring. The signature style that has worked for plenty of films, TV shows, the NBA and more carries over in this new edition. 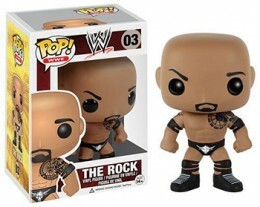 The 2014 Funko Pop WWE lineup has six figures. 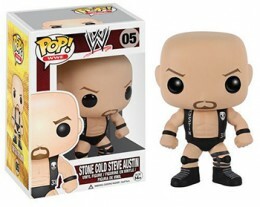 They include current top-tier stars, like John Cena and CM Punk, as well as Attitude Era Champions "Stone Cold" Steve Austin and The Rock. Each figure has a series number and comes packaged in its own box. The stylized figures each stand about 3.75" tall. 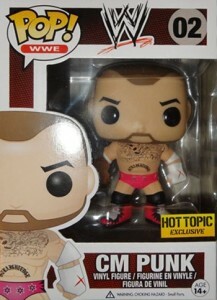 CM Punk has a variant figure that has him in pink trunks. His regular piece has him in blue and black trunks. The variant is exclusive to Hot Topic and was available before the main wave. 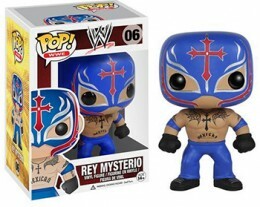 Rey Mysterio has a pair of exclusives. One is available at 7-11. The other is a convention exclusive. WWE Funko Pop Seth Rollins Vaulted NO BOX. 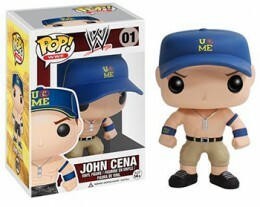 Funko Pop WWE CHASE LOT!!! 2018 SDCC Funko Pop Target WWE #56 Asuka (Summer Convention) Figure Damaged Box!